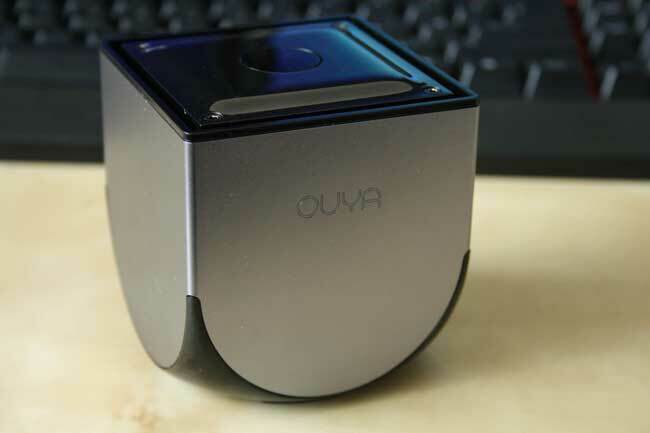 The OUYA is a small Android powered game console which originally received funding from a Kickstarter project back in August 2012. It reached it’s target goal of $950,000 but went on to receive much more. The final total when the Kickstarter project ended was $8,596,474. 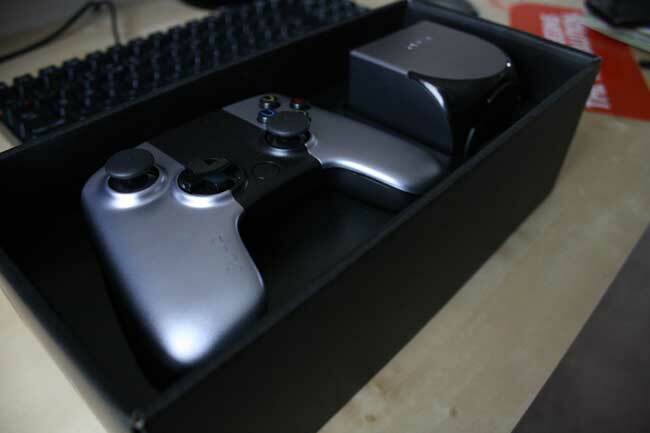 I wish I’d heard about the OUYA before the Kickstarter ended as would have loved to pledge, however I was able to pre-order the retail version from Game a couple of months ago and I’m glad I did. The OUYA retail package comes with the OUYA console and one controller which retails for £99.99, You may think for this price the OUYA would be cheaply made with not a high amount of processing power, you’d be wrong. I was amazed with the quality of the device. 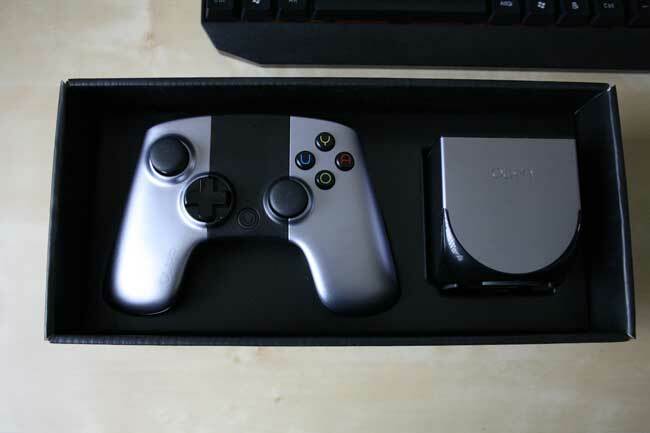 Being made from plastic and aluminium makes the OUYA sturdy and quite heavy to hold, if didn’t know the retail price then I would have though it’d cost much more. The specification of the OUYA is very good. 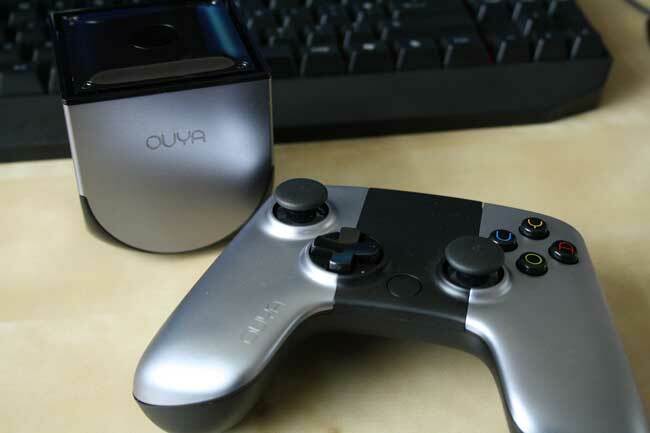 With a quad-core Tegra 3 processor and 1GB RAM with 8GB of internal storage means the OUYA will be able to handle even the most demanding games currently available for Android such as Shadowgun. 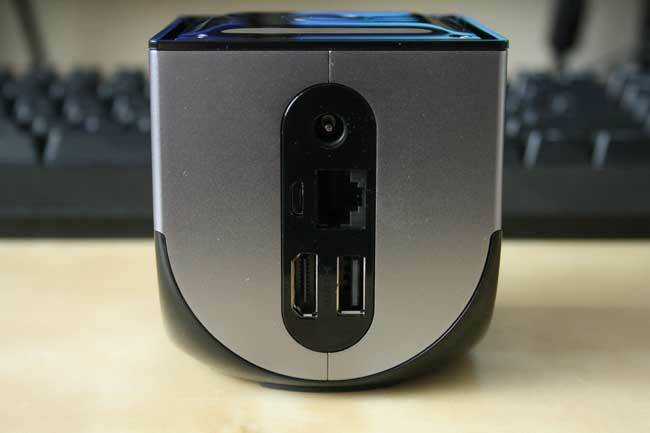 There is also other connectivity options such as a full size HDMI port, one full size USB 2.0 port, Ethernet, WiFi (802.11 b/g/n) and also a Micro USB port which comes in handy when you need to side-load files onto the OUYA’s internal storage using your computer. When turning the console on for the first time you will be asked to login or create an OUYA account, I choose to create one. 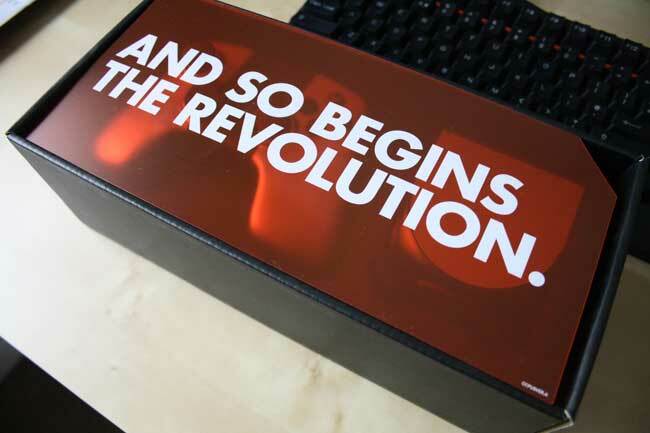 The setup was seamless and enjoyable; within minutes the OUYA was ready to use. I haven’t yet had the chance to test the WiFi on the device, some other users have noted the wireless adapter to be very slow. Although I will be using the console for the vast majority of the time with Ethernet so I personally won’t notice any problems with the WiFi. I would highly recommend using the console on Ethernet rather than WiFi, if you do then it will have a much better quality connection and you won’t notice drop-outs in download speeds. With the little time I have had with the OUYA since it was released on the 25th June 2013; I have downloaded a couple of apps, some of which I have purchased such as Canabalt HD and a PlayStation 1 emulator. Both were about $3 (The OUYA app store makes you purchase in dollars) and are great little apps for the money, in fact nearly all of the OUYA apps are around the $3 price mark with only Final Fantasy costing more than this price point. I have side-loaded the Onlive Android App which I found here on XDA Developers. As far as I’m aware there should be an official Onlive app in the OUYA app store soon but for now side-loading is the only way to get it working. As I mentioned before, using an Ethernet connection rather than the WiFi will result in a better download speed and better connection quality which is a must for an app such as Onlive. Onlive streams most of the new AAA titles available for the PC and other game consoles. I tried a couple of free trials of games such as LA Noire and Dirt3, both of which played tremendously well. The only issues I have noticed is that depending on your internet connection speed there may be a couple of seconds of lag from the buttons you press on your controller with the result you will get on screen; this makes Racing and FPS games un-reliable to play. Over the next day or so I will be looking forward to get XBMC working on my OUYA and use it as a media player, there seems to be a large amount of tutorials on the internet with a lot of successful methods. In conclusion would I say you should buy this to a regular consumer? The answer would be “No, not yet”. There are far too many kinks and bugs to iron out, and most importantly there needs to be many more apps from serious developers, so far there is only 200 apps available and most from indie developers. Although if your the person who likes to try out the latest product and play around with the inner workings of a device, then sure go for it. A little under £100 for a device like this isn’t a bad deal. 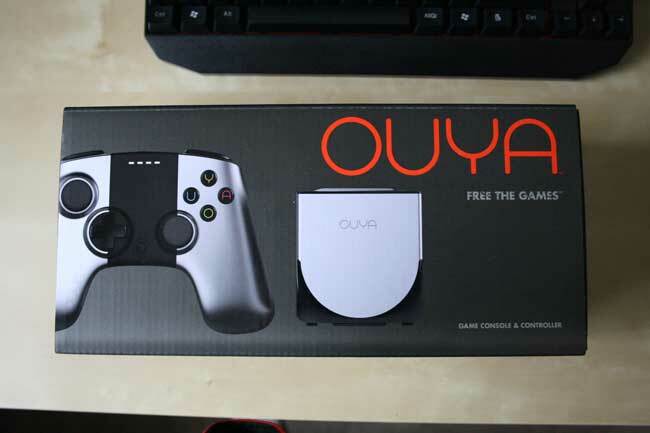 The retail boxed version of the OUYA. When opening a friendly message greets you, “And so begins the revolution”. A nicely packaged OUYA console and controller greet you has you lift out the transparent orange message. Another view of the console and controller in the retail packaging. 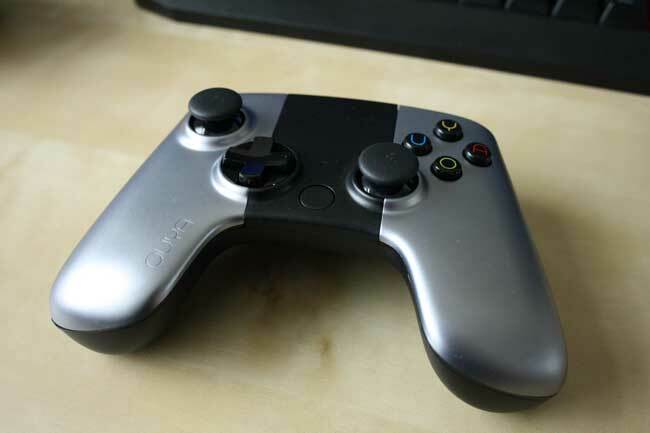 The OUYA console itself. Designed by Yves Béhar. A plethora of connections: Mains power, Micro USB, Ethernet, HDMI and USB 2.0 port. The console and controller together.